The Limelight LED dance floor panels are a professional quality construction, capable of withstanding the rigors of exhibition, display and permanent installation. Limelight has supplied and installed the LED MXV Dance floor panels throughout Australasia in registered clubs, nightclubs, live music venues, party hire companies, promotional companies etc. The Limelight dance floor panel offers a rigid 28mm safety glass section sitting inside a tough aluminium extrusion. Each panel is 500 x 500mm square (4 units to the square metre) and the system locks firmly into place forming a square, rectangle / runway installation as desired. 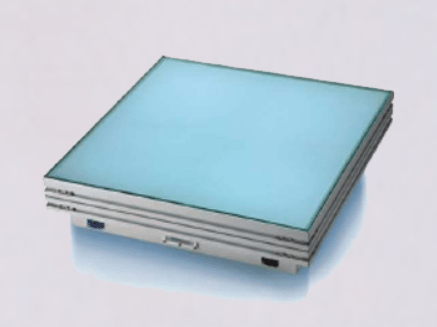 Compatability of the LED Dance floor Panel. 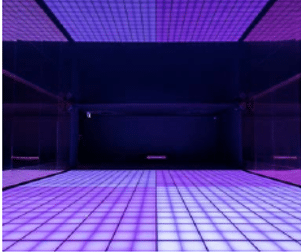 The panels consist of high output RGB LED lighting and each panel is capable of being assigned to perform as a master or slave to operate the pre-set colour combinations. The installed display is also capable of being DMX addressable via a DMX control device, lighting desk or controller. The Limelight LED dance floor panels transform a floor into an exciting coloured light display, enticing everyone to get up and dance. LED illuminated dance floor panels are high quality decorative solutions for installation venues, theatres, events and galleries. 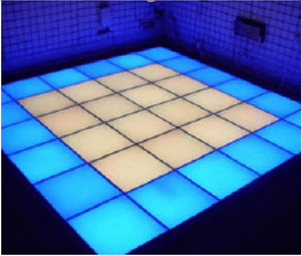 LED dance floor panels can be installed in any configuration or quantity to create large or small installations. Typical applications include commercial and hospitality venues, discotheques, galleries, special events and concerts.